Katie joined the Lafayette office of Galloway Johnson in 2014. 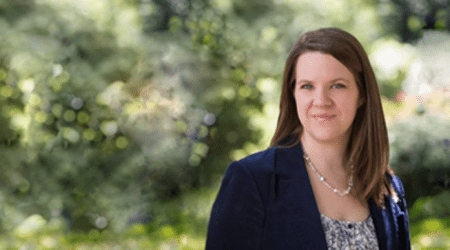 After growing up in West Tennessee, Katie returned to her family’s native Louisiana to earn her Bachelor of Arts in English Literature and Political Science from Louisiana State University in 2005. She obtained her Juris Doctor and Bachelor of Civil Law from the LSU Paul M. Hebert Law Center in 2008. After clerking for the retired Honorable Rae Swent and the Honorable Mary L. Doggett of the Ninth Judicial District Court in Alexandria, Louisiana, Katie began practicing in the fields of insurance defense, medical malpractice, nursing home malpractice and general liability. She has defended clients in both Louisiana state courts and federal courts. Her practice at Galloway Johnson focuses on general litigation, including insurance defense litigation, insurance coverage, subrogation claims, workers’ compensation, construction law and claims, and premises liability defense claims. LSU Paul M. Hebert Law Center, J.D.-B.C.L.